Pharm Schooling | Find the Best Pharmacy Tech School Near You! Are You Ready to Finally Ditch That Dead-End Job, and Get into a Stable Career That Pays Well, Is Flexible and Is in Huge Demand? Schools All over the US Are Desperate to Train More Pharmacy Technicians to Fill the Increasing Demand for Jobs. See If You Qualify for Scholarships! Are you ready to finally secure the future that you and your family deserves? The best schools in the country are ready to have you as a student! Several careers in the healthcare industry, like pharmacy technicians and pharmacists, are involved in fast-paced working environments because human lives are at stake. At times, their days will be stressful and sometimes it can take its toll on the pharmacy technician or any respectable health care professional. When you’re working as a pharmacy technician, you will be stressed just like nurses and doctors and this can make or break your career in the pharmacy outlets. 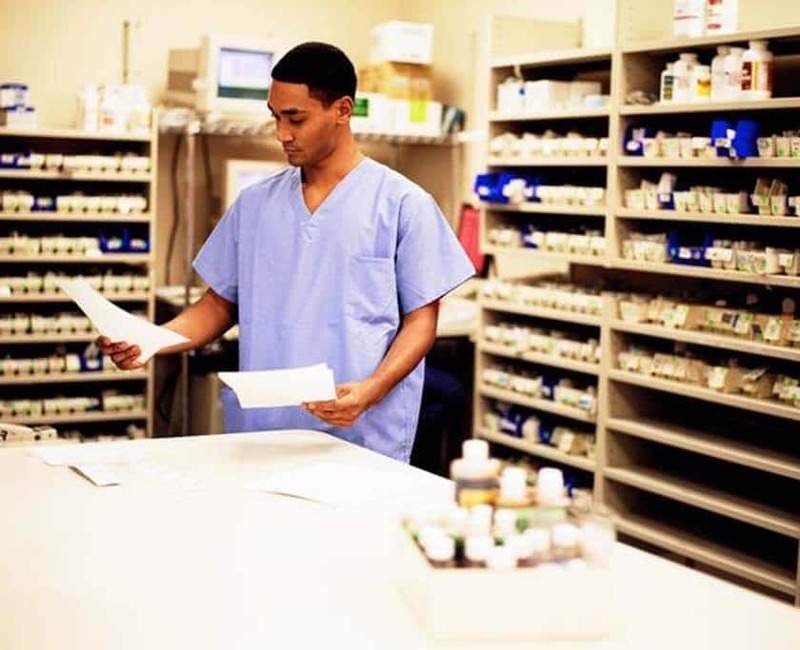 In hospitals, pharmacy techs rush to fill in prescriptions for individual patients as accurately and as fast as possible for the 100 or so patients found in the hospital. Retail pharmacy technicians deal with a different kind of stress as they are forced to deal with irate customers and other factors that can lead to stress in a retail environment. So, do you have what it takes to be a pharmacy technician? 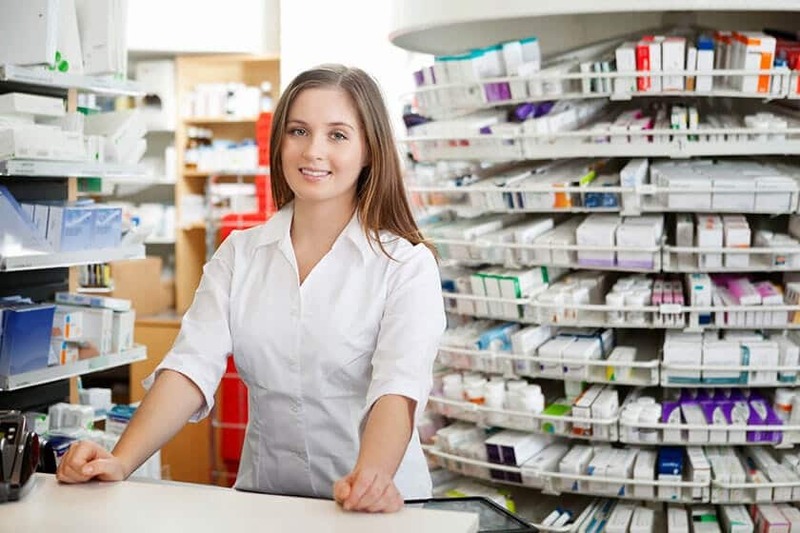 The main job of any pharmacy technician, be they a technician in hospital pharmacy outlets or a technician in elderly care facilities, is to provide assistance to the pharmacists in-charge, just like how nurses are assisting doctors on a daily basis. A pharmacist is busy, so he or she needs the assistance of pharmacy technicians. A pharmacy technician will be the one to prepare the prescriptions after it has been verified or checked by the pharmacists. The checking is done to make sure that the dosage is correct and that the prescription is valid. The pharmacy technician/s will then prepare the medicines and medications as prescribed. Refills will be given if it’s indicated on the prescription, and the number of refills that a patient or customer can avail of. The prescriptions will vary from one person to the next. Some prescriptions are intended for a few days, while there are those that are intended for a one-week cycle and there are those that are good for one month. the medications are then delivered and dispensed to the patients or customers. pharmacy technicians will also spend their times restocking the medications on the shelves and taking into account the medications that need to be restocked or resupplied. They will also spend their time cleaning up the pharmacies or putting things in order. The most tedious of tasks for pharmacy technicians is the manual preparation of meds and drugs. This includes measurement, counting, and weighing of individual medications needed by patients or customers. They can end up counting up to a thousand pills a day and they need to do this as fast and as accurately as possible. This is something they learn as part of their lesson or training objectives in their accredited pharmacy tech college. The career path of a pharmacy technician is not as easy as one might think. This is a job that entails a lot of responsibilities combined with an adequate skill set necessary to perform said responsibilities. One of their biggest responsibilities is to prepare prescriptions for individual patients and customers. this means having to count manually the thousands of pills, weigh different kinds of liquid medications, and create delicate compounds or drugs from existing chemical components in the pharmacy or laboratory. Certified pharmacy technicians will also check for the validity and accuracy of the prescription of individual patients before filing them into the system installed in pharm stores. 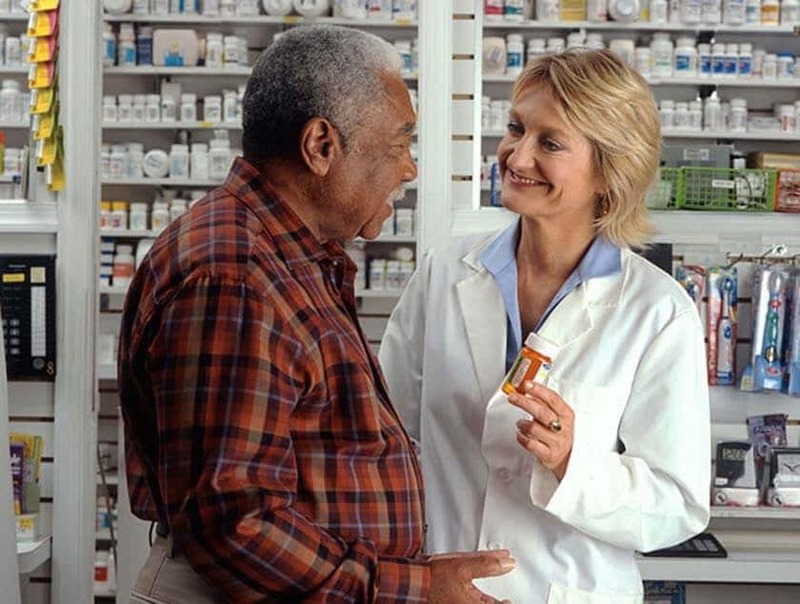 Pharmacy technicians are responsible for giving the EXACT or RIGHT amount of meds to individual customers. There are different tasks that pharmacy technicians can perform, depending on the location of the pharmacy. Hospital pharmacy technicians are responsible for creating delicate compounds or admixtures of drugs needed by cancer patients or for patients undergoing surgery. In some cases, they will also provide assistance to anesthesiologists in the preparation of local and general anesthesia for surgery. 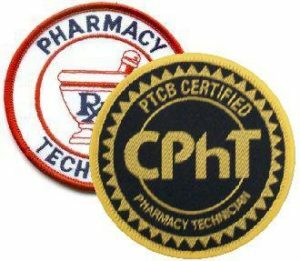 In order to become a certified pharmacy technician, one needs to attend a host of accredited pharmacy technician training courses or programs designed to develop and enhance their skills in healthcare and pharmaceuticals. These training programs usually last for as little as 1 year, depending on the colleges, universities, or institutions that offer these courses. Their basic subjects include biology, chemistry, psychology, and even mathematics. Once the individual is done with his or her college education, they will now proceed to take the licensure exam given by the Pharmacy Technician Certification Board or PTCB and ICPT or Institute for Certification of Pharmacy Technicians wherein they can receive the title of CPhT or Certified Pharmacy Technician after passing it. In some states, you will be asked to take the certification exam before you can start practicing. Your schools and college will have different learning objectives and lesson plans for their students from different courses. After passing the licensure tests, they will need to renew their license after 2 years. One additional requirement is 20 units of continuing education subjects from accredited schools. This means that a pharmacy technician that has been certified needs to proceed to graduate degrees or training programs worth 20 units that will allow them to renew their certification. This is also beneficial for the pharmacy techs as they will be able to pursue better career opportunities in the future. If they finish graduate degrees, they can pursue career opportunities in a research setting or even in a military setting. 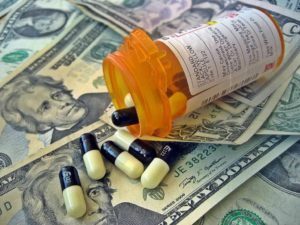 What is the Average Salary of a Pharmacy Technician? Pharmacy technicians are similar to the way nurses work alongside doctors because they work alongside pharmacists. A pharmacy technician has several responsibilities in a pharmacy, one of which is the preparation and administration of drugs to patients. Other responsibilities include the preparation of sensitive and complicated IV admixtures, provide assistance to the pharmacists through clerical work (medical inventory, filling and filing of prescription, etc.) and so on. Pharm techs also provide medication and patient counseling in order to provide guidance for patients to make sure that they take their medicines the right way. The more duties a pharmacy technician undertakes, the more stressful his/her career becomes. In fact, all of their duties are usually the fruition of their lesson objectives and learn all about what needs to be done in their respective and accredited college. The health care industry continues to be one of the fastest-growing industries in the world even when the world faces economic problems from time to time. An estimated 3 million jobs will be created by the health care industry within the next decade according to the US Department of Labor. Pharmacy technician jobs are one of those professions that’s promising and stable as the industry continues to grow. The job is very competitive and the pay is just as excellent as it is competitive. An entry level pharmacy tech can earn as much as $19,000 a year. 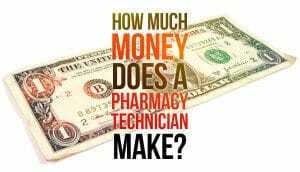 Several factors can affect how much a pharmacy technician’s salary will be worth. One of these factors is education and one of them is experience. These are considered as the two biggest factors for a lot of reasons. first, education dictates the skills and knowledge that a pharmacy technician can acquire, so coming from a good school and finishing a good degree can get you the skills needed to be considered as competent. Experience is also helpful because it enhances the skills through practical application when a pharmacy technician is already working or practicing his profession. Licensing is also one of the biggest factors because it is an indication of your competency and that you’ve been deemed worthy to practice your profession by the certifying boards like the PTCB and ICPT. When you have all three of these, it’s not only going to be easier for you to land a job, but you’ll also land an impressive starting salary because the employers will see you as a very valuable asset. 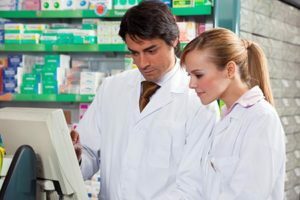 In the USA and Canada, retail pharmacy technicians are paid less than their hospital counterparts, earning an average within the minimum wage or slightly higher. 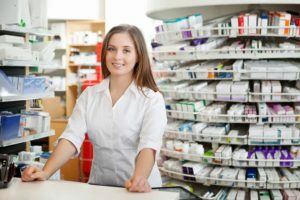 At best, entry level jobs are usually found in retail pharmacies and rarely in hospitals and clinics, so if you’re going to want to build experience, you may start from a retail pharmacy before moving up the ranks. What kind of pay and benefits (health insurance, dental, 401k, etc.) can you expect? Salary just so happens to make or break anyone’s decision to pursue a specific career. It can even make or break the decision to get that job, depending on whether or not the salary matches our expectations. A doctor, nurse, engineer, or even a pharmacy technician can still deny employment opportunities if the pay does not meet their expectations because let’s face it: these jobs are stressful and they need to be paid a lot more than most people think. On top of that, a bigger salary translates to job security and other benefits like retirement plans and insurance policies. For pharmacy technicians, they can earn between $10 and $12 per hour depending on the factors that will dictate their salaries. These factors include experience, education, and certification. experience just so happens to be the most crucial factor because your previous working experience in another pharmacy will allow your new employer to opt out the training or orientation because you already know what to do. Experienced pharmacy technicians that can hit the ground running will always be impressive. Therefore, entry level pharmacy technicians should never expect a higher salary than an experienced technician. One reason why pharmacy technicians and pharmacists are paid well is because their responsibilities are heavy. A pharmacy technician can earn more than a barista or bank teller because of the working environment that he or she is immersed in. Compensation is one form of consolation that healthcare professionals can enjoy, and pharmacy technicians are privy of this benefit. 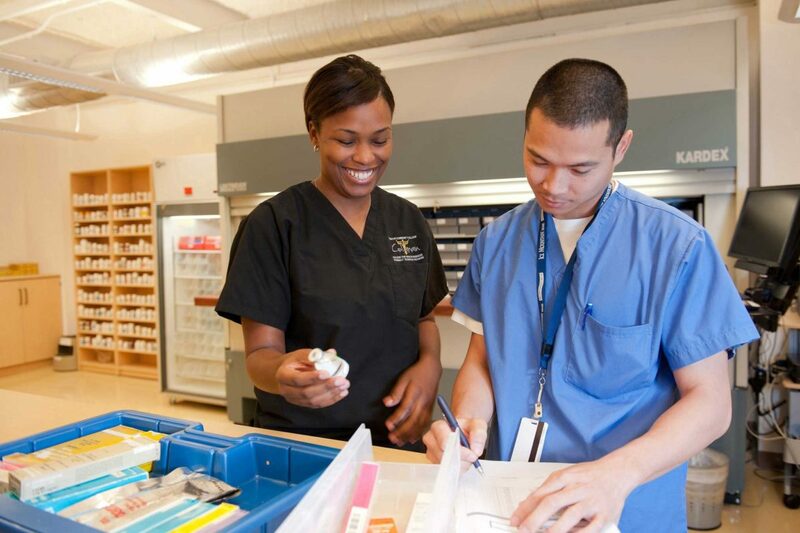 Pharmacy technicians are found in hospitals, retail outlets, and any place where pharmacies are located. Top-tiered technicians or those with graduate degrees can be seen in research laboratories and even in the military. These technicians with graduate degrees are paid much more because of their educational background. In order to secure a high-paying job, pharmacy technicians need a solid educational background (i.e. a Bachelor’s Degree in pharmacology will give you a higher salary compared to someone who’s finished an Associate’s Degree) and experience. 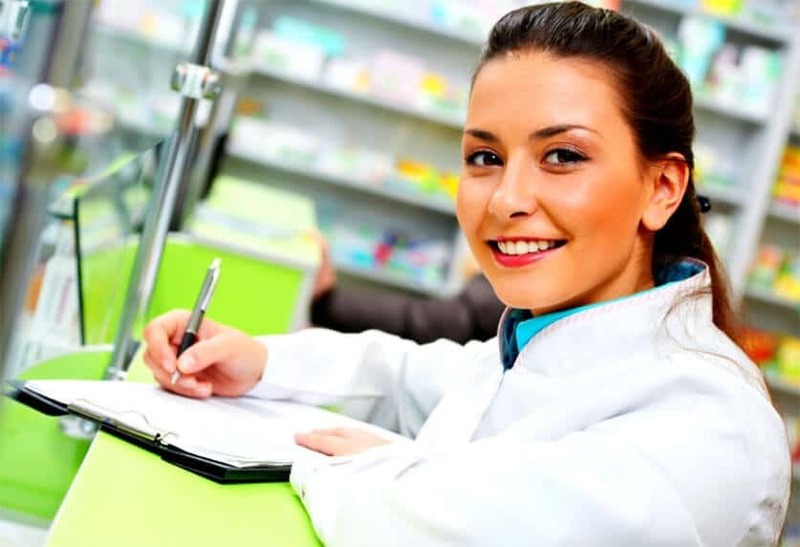 If I worked in a pharmacy for more than 3 years prior to getting hired by another pharmacy, you can be sure that I will make more than the other entry level pharmacy technicians even if we both have the same educational background or attainment. Certification will also play a huge role in determining the salaries for pharmacy technicians. The presence of a certification can almost always guarantee a bigger salary than those who don’t have it. What Kind of Training is Required Before Taking the Certification Test? If you want to enjoy a beautiful career in the pharmaceutical industry, a good profession would be a pharmacy technician and you can enjoy this even more if you undergo an accredited pharmacy technician training program. But to some extent, it may not be directly called a “pharmacy technician training program” but rather a course that contains everything that you will need to become a pharmacy technician. Your local colleges should be the first place to ask around when it came to these training programs and courses. On your first year as a student in these training courses, you will be building up your basic foundation in healthcare. These subjects are taught by professionals like doctors, nurses, and even pharmacists and pharmacy technicians. The basics will also include learning about the different medical terminology, problem solving, and basic drug pronunciation and interaction. These are necessary for you to build up a solid foundation for pharmacology before you advance. There are also technical vocational programs that will focus more on practice rather than theory so you end up doing lots of laboratory activities. You will be dealing with the chemical make-up of aspirin to the chemical make-up of chemotherapy medications. This may seem like information overload, but this is nothing compared to what you will be facing on the next few years as a pharmacy technician student. These pieces of information that you acquire from your respective courses will also come out during your certification exams so it helps to be prepared. From an outsider’s perspective, these pharmacy technician vocational training courses and programs are taught in classroom settings similar to any kind of course or program related to or outside the realm of healthcare. Students cannot proceed to the advanced subjects if they fail the prerequisite subjects. Your allowance for retakes is also limited, depending on your school. If you’re going to fall below a certain QPI or GPA range, you will not be able to complete the program. Basically, a pharmacy technician course is just like any other course. Of course, your grades will also reflect on your transcripts as well as the number of times you took the subject. If you failed it once and you retook it, your employers will know. There are several pharmacy technician training programs offered every year and the course outlines are given by the local college admissions offices. You will need to ask for these to get an idea of what you can expect from these programs. The field of science and technology continues to advance rapidly, especially in the realm of medicines. The pharmaceutical industry as part of the healthcare industry continues to develop better and improved forms of medicines, drugs, and treatments for all kinds of diseases. Back then we used to fear getting the flu but now there are vaccinations provided every year to prevent people from getting the flu. All of these are done through the hard work and dedication of the pharmacy technicians, pharmacists, and pharmaceutical researchers in the industry. With the rise of medicines, the demand for specialists continues to increase as well. The federal government of the USA aims to make sure that health care professionals are competent, thereby creating several agencies that will guarantee the competencies of healthcare individuals through certification. The government also works alongside private facilities in healthcare to encourage non-certified pharmacy technicians to get certified because it will provide some form of peace of mind when patients and customers know that their medications are handled by a competent professional. Certifications are beneficial for a lot of reasons. TO put it simply, a certification is done to make sure that the individual really knows what he or she is doing and he or she can be professionally accountable for everything they do in the pharmacy or hospital. Nurses and doctors get certifications. Lab technicians also get certified. A lot of professions in the healthcare industry require certification through their respective governing bodies. These act as a measure of competency and due to the holistic nature of the exams, it is able to determine the strengths and weaknesses of a pharmacy technician or any health care professional. For the certification exams for pharmacy technicians, they are allotted 2 hours to complete an 80 or 90 multiple choice examination with 10 pre-test questions. The 10 pre-test questions are not going to affect your total score because these are used to evaluate the future content of the newer certification exams. Your number of correct answers will be the basis for your certification’s final score. If you pass, you get certified. If you don’t, you can retake the test 60 days after. Pharmacy technicians will also need to renew their licenses after two years with a completed 20 hours or 20 unites of continuing education related to the field of pharmacology. This can be achieved through undergraduate degrees, graduate degrees, and vocational programs. College courses like biology, chemistry, and other life sciences can also count towards your educational units. Getting certified is a pharmacy technician’s goal after graduating from their respective accredited training courses and programs in college. This is to ensure that they are indeed competent and skilled when it comes to handling patients’ prescriptions and other responsibilities asked of them by their employers in the pharmaceutical industry. A lot of professions in the healthcare industry require licensure or licensing. Doctors, nurses, laboratory technicians, and even pharmacists are required to get certified before they can start working. Pharmacy technicians are no exception to the rule, so what goes behind the scenes in a licensure test or exam for pharmacy techs? What are the lesson programs or learning objectives in reviewing for an exam? The pharmacy technician certification exams are comprised of 200 prescription drugs and different formulas that would allow them to make use of pharmacy conversion. Mathematics is a key component in pharmacy technician exams and also in their careers. It also covers the generic and brand names of individual meds or medications made available in the market past and present. Ethics and generic insurance questions will also come out of the exam, but they will comprise 5% of the entire exam. The major bulk would fall on how well you know your medications. The certification exams will comprise of a 90-item questionnaire with 120-minute or 2-hour deadline. 66% of the exam will focus on your responsibilities in assisting the pharmacists and patient relations because they are 90% of your working condition in every pharmacy. The remaining 30% of the exam will cover inventory management, or rather the identification of generic and branded meds and drugs found in the pharmacy and also their corresponding side effects. The licensing exams in the UK and USA vary, but the process is still the same. After two years, they will be asked to renew their certification but this time with an added 20 units of continuing education subjects. This means that a pharmacy technician needs to undergo vocational programs or and college graduate degrees to complete their requirements for renewal. Once the renewal is completed, they will be set for life as a pharmacy technician. The goal of pharmacy technician licensing exams is to provide assistance for people who’re bad in practice but good in theory. Their ability to put their theories in practice will be enhanced once they start working their way towards getting a certification. As they progress with their and college reviews, they will be able to implement their theories effectively, recall important details effectively, and even score higher on the licensing exams. This is the ultimate goal or rather their lesson objectives that will not only get them a diploma but also a certification. Where can I expect to be able to get a job? No matter what community you go to, whether big or small, there are people in need of medications. Those people need a pharmacy tech just like you to be able to properly dispense their medications. Click on any one to learn more about the opportunities for schooling in any of the areas.